This is an in-depth three day SMT-BGA-BTC course that deals with both tin-lead and Lead Free (RoHS) design and manufacturing issues. There is extensive coverage of technical issues related to dealing with backward compatibility (soldering of lead free BGAs and other components when using tin-lead solder paste). This is a course for those who are just getting into SMT or those who have been in the business for years. This class is being taught by someone who started in SMT when you could not get a book on SMT until he wrote one in 1987 (and revised since then - SMT Principles and Practice) and who set up SMT at Boeing and Intel from scratch in early and mid 80's and has been deeply involved with the activities of IPC. 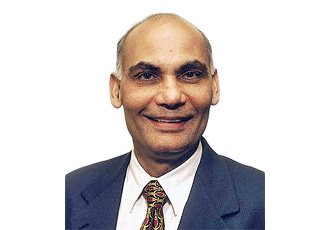 Ray Prasad has chaired many of the critical SMT related IPC standards such as Land Pattern (IPC 782 now IPC 7531), Moisture sensitivity and Package Cracking (IPC 786, now J-STD 020/33) in mid 80s. Currently he chairs BGA (IPC 7095), BTC (IPC 7093) and Reflow Reflow (IPC 7530) standards and is currently consults and teaches across the globe. Most companies generally realize the benefits of Electronics Manufacturing by trial and error at considerable expense and frustration. The objective of this course is to identify the technical issues in Through hole, SMT, tin-lead, Lead Free BGA and fine pitch technology design and manufacturing that must be resolved for an effective implementation of mixed assembly electronics products. The course material is based on Ray’s textbook Surface Mount Technology: Principles and Practice, 2nd Edition, the latest revision of IPC -7095, Design and Assembly Process Implementation for BGA, IPC-7093 “Design and Assembly Process Implementation for Bottom Terminations surface mount Components (BTCs) such as QFN, DFN and MLF, and IPC 7530, Temperature Profiling for Reflow and Wave Soldering. Ray Prasad currently chairs all these three IPC committees. Before delving into the details of SMT design and manufacturing, students are brought up to speed on SMT processes and components. The first part provides an overview of SMT and advanced packaging technologies. After covering Technology Overview, we delve into the details of Design for Manufacturing, test and repair of SMT and BGA and Fine Pitch components. And the third part of the course provides an in-depth details of all the SMT manufacturing processes including Selective Soldering, Lead free soldering, Mixed (Tin-lead and Lead Free on the same board) inspection, Quality Control and repair. We conclude the course by discussion of various defects and their root causes. This is not a theoretical course. Based on Ray’s years of experience in successfully implementing SMT at Boeing and Intel, and various clients, this course deals with "real- world" problems in SMT. Attendees will get an insight into the interdependency of design and manufacturing to achieve higher yield, lower cost and faster time to market. After each section, detailed quizzes are used to ensure that the material covered "sinks in." Plenty of time is allowed for questions and answers. There are 18 pages of quiz to cover plus all the questions that you may have. This class can also be taught at your own site and customized to meet your specific needs. If you have multiple engineers who may benefit from this course, it may be more cost effective to hold the class at your site at a mutually agreed date. Please contact us for the details.